We are back in Southeast Asia after a three-week break in Japan and Korea, and that means no more country-wide high-speed rail lines; it’s back to night buses, jeepneys, and pick-up trucks. We depart Manila at 10pm with our knees touching the seats in front of us and sitting nearly upright, but it really doesn’t phase us much anymore – even me. We think about all the bus rides that have been worse and watch some TV episodes on the iPad and sleep as much as possible. 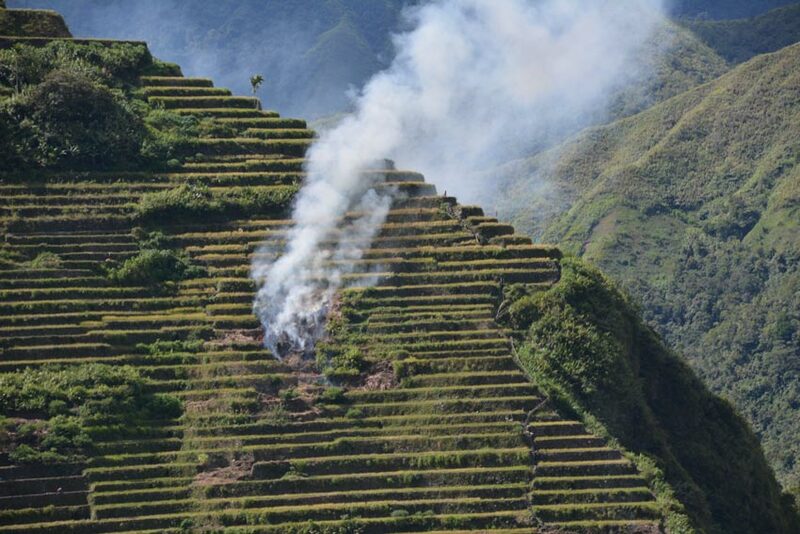 View from our hotel in Banaue. Click photo to enlarge. We get to Banaue around 6:30am and it’s beautiful. The bus stop is on a ledge looking over the town, which is built on the side of a mountain and facing another mountain covered with hundreds of layered rice terraces. In Filipino fashion, the tour guides and taxi drivers don’t shout and shove to get our attention, but are friendly, polite, and helpful. One asks if we need a place to stay and shows us a nice double room in Greenview Inn. 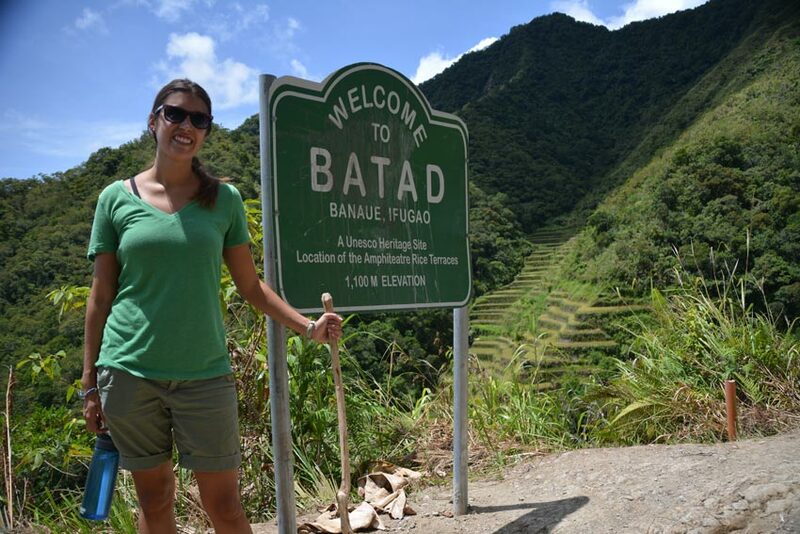 We decide to stay, and over coffee and breakfast talk to the guide, Nollie, and make plans to see the famous Batad rice terraces at 9am. 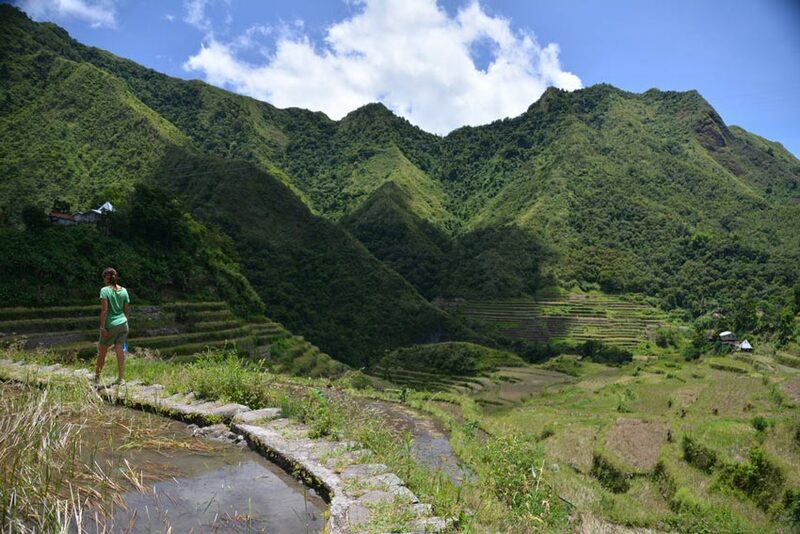 Our tour starts with a windy and bumpy jeepney ride around mountainous roads. The views are amazing already, and I’m excited as we take our first few steps down the path. The beginning of the path is all steep, stone steps. On the very little sleep we got, I’m already dreading going back up. But it’s too late, so I try to concentrate on the the beauty around us and not twisting an ankle. 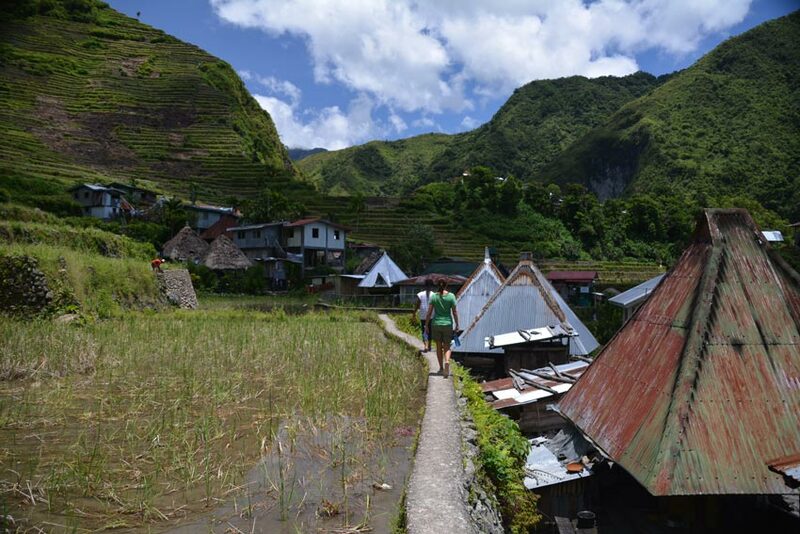 It takes an hour to trek to the small village of Batad. Nollie tells us about the history of the area and the current way of life. 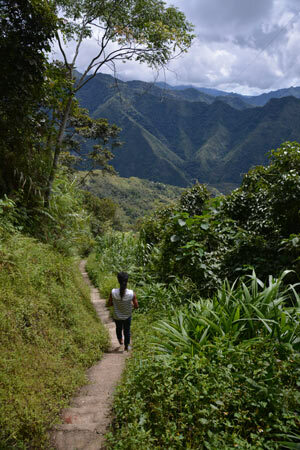 People who buy or sell the goods have to walk the same narrow, steep path we are walking and carry everything by hand. After walking through the village, we continue another hour to a waterfall. 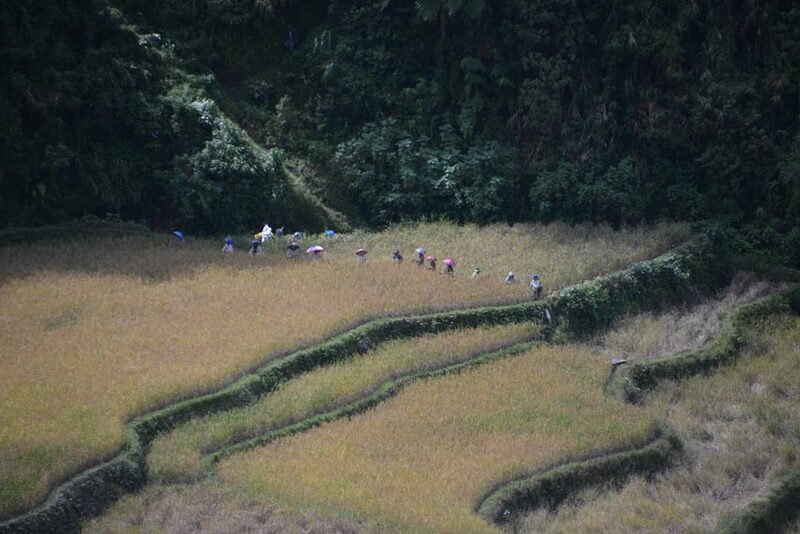 Instead of the mountain path, we are now walking on the ancient stone walls of the rice terraces. The pictures can describe the terrain better than I can. 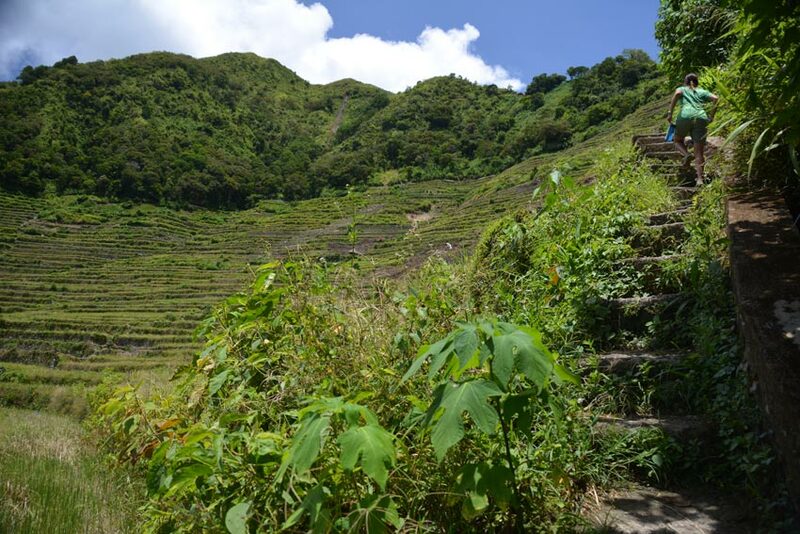 These terraces are about twice the size of the Tegalalang Terraces in Bali, and the terraces here are made by stone and dirt, making them much more fun to climb as well. 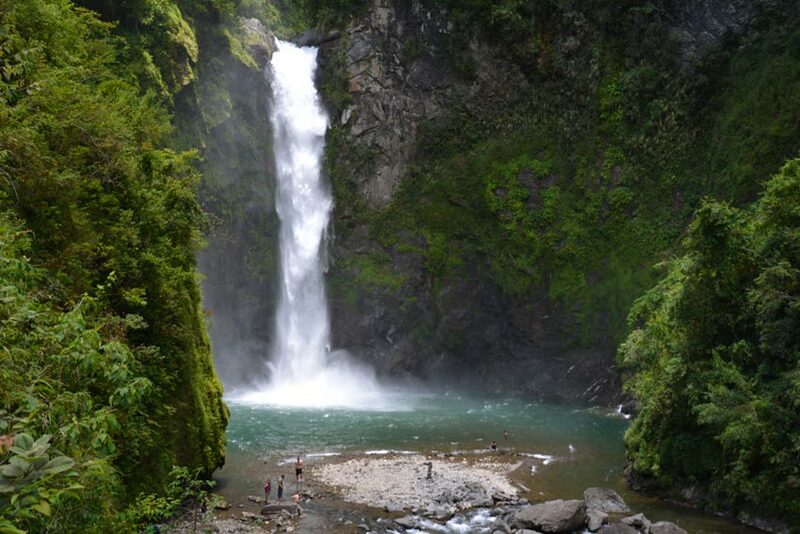 At the waterfall, we swim in the cold water as close as possible to the rushing waterfall. Tucked down in a cove, it feels like a reward for all the walking so far. The walk back up was tiring and sweaty, like I had imagined, but thankfully not too hard for us. 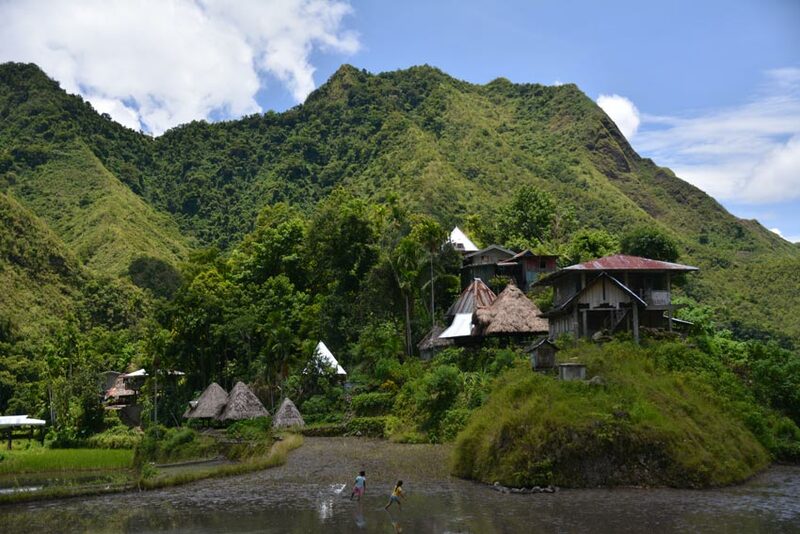 We reminiscence about our trek to the volcano in Ambrym, which was the hardest physical challenge of the trip. After that, we can do anything. 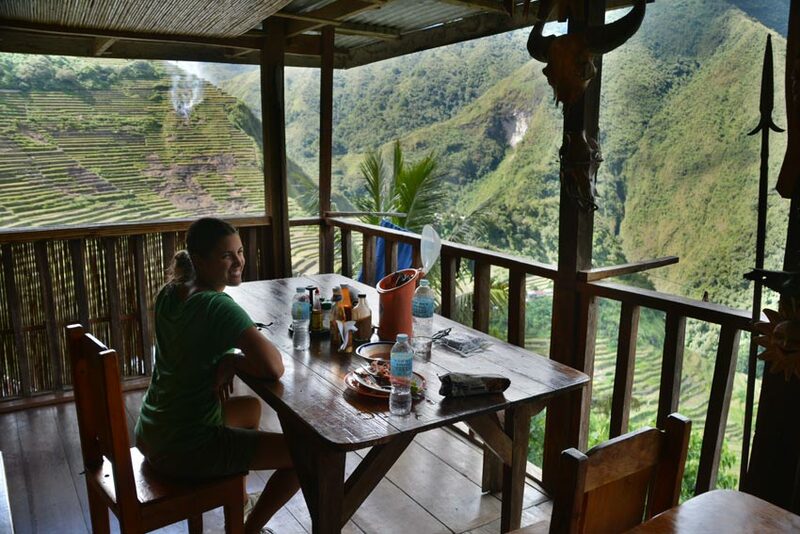 We stop for lunch in the Batad village at a small restaurant over-looking the terraces. It is weird eating this food, knowing that some of the ingredients had to be walked here down the same crazy path we just walked down. Our favorite moment of the day was on our walk back up the terraces when we come across too young girls fishing in one of the larger terrace ponds. With their hands. 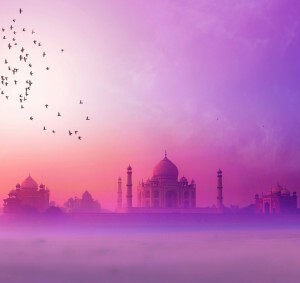 It is something amazing to watch. A twelve-year-old girls catching fish with her hands. Something we couldn’t do if we tried all day. After a well-deserved shower, nap, and meal, we have some drinks with our guide. He and his friends take us to the popular Friends Country Bar. Who knew that American country music was popular in the Philippines? A live band with rotating singers belted out some twangy Kenny Chesney and George Strait and were surprisingly good. After plenty of Red Horse beer, our guide (who probably did not nap when we did) fell asleep in on the table, so we said goodnight after an amazing day.